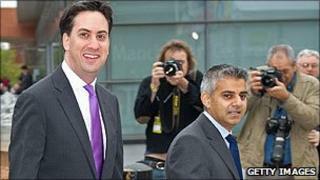 Labour leader Ed Miliband is asking his shadow ministers to fill in a form before announcing any new policies. The forms will be looked at by Mr Miliband and Shadow Chancellor Ed Balls to check the policy is affordable. Shadow justice secretary Sadiq Khan has defended the measure. He told Sky News: "If we make reckless commitments about spending, not unreasonably the government will say how could you be a credible government?" He would not reveal what will be on the form, but he said it was important to ensure the shadow cabinet acted as one. "It's right that the shadow chancellor and the leader of the opposition should get together and make sure that we are a team. "And before we make any announcements of policy which have a spending commitment we make sure we can afford them."